"We believe that all students should participate in a rigorous and rich high school experience that prepares them for college and a career." Admissions Process: Sandusky School Counselors will assist students in preparing their course schedule as early as the 7th grade. In 9th grade, students can pick a major from 11 possibilities as a requirement for their college and career readiness standards. Students will have the option to choose college courses within their identified major. A variety of delivery systems will make the experience individualized and convenient for the student. This provides an organized system for your child to complete their high school education while earning college credits with the potential of acquiring up to an associates degree. Advanced Placement classes are classes that give you the potential of college credit so you may eliminate certain classes in college or test out of lower classes. Blue Streak University is an opportunity for the student to be simultaneously enrolled as a college student while still enrolled as a high school student. Connected with the state-wide effort identified as “College Credit Plus"
Monetary savings to parents and students. For your child to graduate from high school with college credit provides you with a savings of up to two years of tuition! Better job opportunities in the workplace or while attending college due to advanced college standing. No cost to parents/student. That’s right! There is no cost to parents for their child to be enrolled in Blue Streak University! That is college credit that your child earns at no cost to you! This program can save you and your child thousands of dollars. Sandusky City Schools is proud to announce the introduction of College Credit Plus to its middle and high school students for the academic year of 2014-2015. College Credit Plus (CCP) will become a popular choice for students and parents alike for various reasons. The program allows students to meet high school requirements and earn college credits while in high school, free of charge. The cost for college courses and books also is covered by the school district. Students who earn college credit through CCP will have the ability to transfer them to the college or university of their choice after their high school graduation, thus the potential to save thousands. 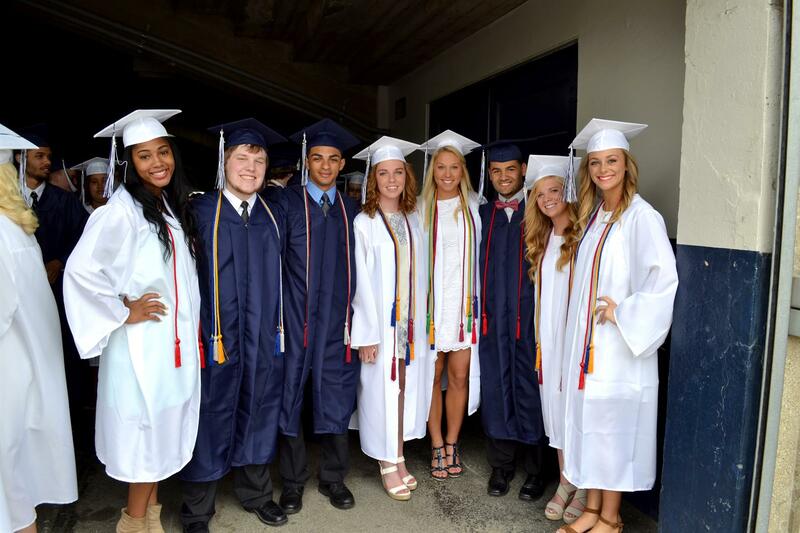 Sandusky City Schools has formal agreements with various colleges and universities to provide some specific courses at Sandusky High School. Students, however, also can opt to take College Credit Plus courses from any college that offers a course that would benefit their future. This arrangement also could include online courses. Students can enroll in such courses as long as minimum assessment requirements of individual colleges and universities are met. Students must complete the COMPASS assessment or submit ACT or SAT scores in order to be considered for the program. The minimum COMPASS reading score of 80 is required for students to be eligible to enroll in courses at Bowling Green State University at Firelands. At Lorain Community College (LCCC), the minimum required reading score is 71. At Terra State Community College, the minimum required reading score is 70. After admittance, students are required to complete an orientation at the college or university of their choice. How and When Do Students Receive COMPASS Testing to Qualify for CCP? Students are offered COMPASS testing at SHS once per academic year. COMPASS testing will be completed before October 1, 2015, for all freshmen, sophomores, and juniors. Plans are underway to ensure that COMPASS testing is completed for all 7th-8th graders by Nov. 1, 2015. 1855: Since 1855 our schools have produced outstanding local, state, and national leaders including an Ohio Supreme Court Judge, a Miss America, and several NFL football players. positioning our students to compete at a global level. Creating Leaders: Blue Streak University will produce the next generation of leaders for our city, state, and nation. Our students will have unprecedented access to college-level courses and this will be a paradigm shift for our schools. #1: Forbes Magazine lists Sandusky as its #1 place to live cheaply in America. Low unemployment, good schools, affordable housing and a low crime rate are just a couple of reasons Sandusky is #1!